We hope that you all enjoyed our first design guidance program in February. Our focus was Contrast and Value and needle turn appliqué. Were any of you inspired to work on any needle turn appliqué of your own? We would love to see what you are working on. Use the hashtags #cvamqg and #designguideance2017 to share all of your wonderful work. 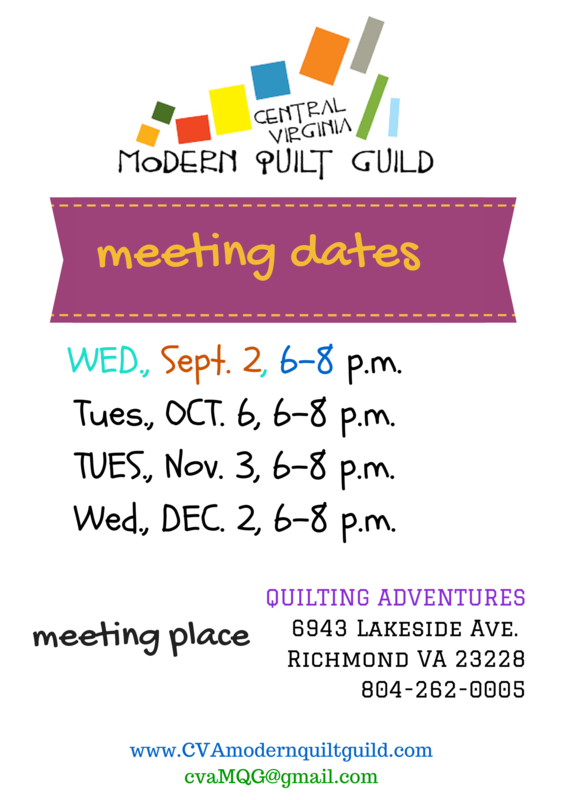 Categories: Meeting Dates, Uncategorized | Tags: central virginia modern quilt guild | Permalink. CVA Modern Quilt Guild is meeting Wednesday, September 2, 2015 at Quilting Adventures from 6:00 to 8:00 p.m. The image below shows the other dates as well.